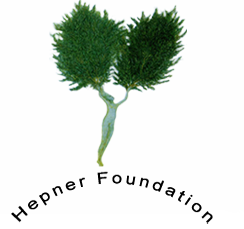 The Hepner Foundation accepts no responsibility or liability for the accuracy or information or material accessed through the website. The Hepner Foundation is not responsible for the	content of any linked sites. The inclusion of any link does not imply any endorsement of that linked site.